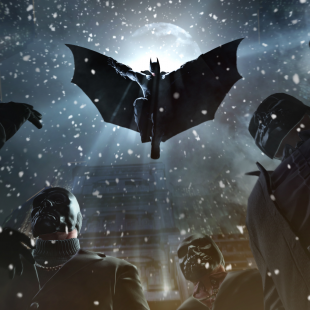 Warner Bros. Interactive Entertainment has cancelled Wii U DLC for Batman: Arkham Origins "based on demand." With the Wii U under-performing to the point that Nintendo's higher-ups have felt the need to cut their own salaries in recompense, it's pretty clear that the console could use some good news. Unfortunately, good news doesn't yet seem to be in the console's cards. We say this because Warner Bros. Interactive Entertainment has recently confirmed that it's cancelling the release of planned DLC for the Wii U edition of Batman: Arkham Origins. "Based on demand for DLC content on the system, Warner Bros. Interactive Entertainment has made the decision to remove its offering of the upcoming all-new story campaign for Wii U," said the company. In other words, Warner Bros. doesn't think that investing in Wii U DLC would be worth the return the console's limited audience would deliver. Nintendo, in turn, is offering refunds to gamers who purchased season passes for the game. The problem that grows out of this cancellation, of course, is that it makes the Wii U edition of the game almost inarguably inferior to the Xbox 360, PS3 and PC versions which, as far as we know, will be receiving the downloadable content in question. In other words, if you're looking at the different releases of the game, the only real reason to pick the Wii U version is if it's the only console you own. Just based on the Wii U's slashed sales projects, we feel pretty comfortable saying that's not a problem many people are likely to have.